Here's some more good news for the US economy: Transportation is booming. The Dow Jones Transportation Average (DJT) -- the lesser known cousin to the Dow Jones Industrial Average -- has gained more than 9% this year, slightly outpacing the broader Dow's nearly 6% increase. Investors like it when the twenty transportation stocks in the index are doing well because railroads, truckers, airlines and shippers thrive in a booming economy. The strength of these companies a sign that consumers are busy shopping and that people have enough money to be flying more often for both leisure and business. Union Pacific (UNP) and United Continental (UAL), both members of the Dow transports, are near all-time highs. FedEx (FDX), another index member, will report its latest quarterly results after the closing bell Monday and analysts are forecasting a 10% jump in sales and more than 50% increase in earnings. Investing guru Warren Buffett continues to be a big backer of many notable transportation stocks too. 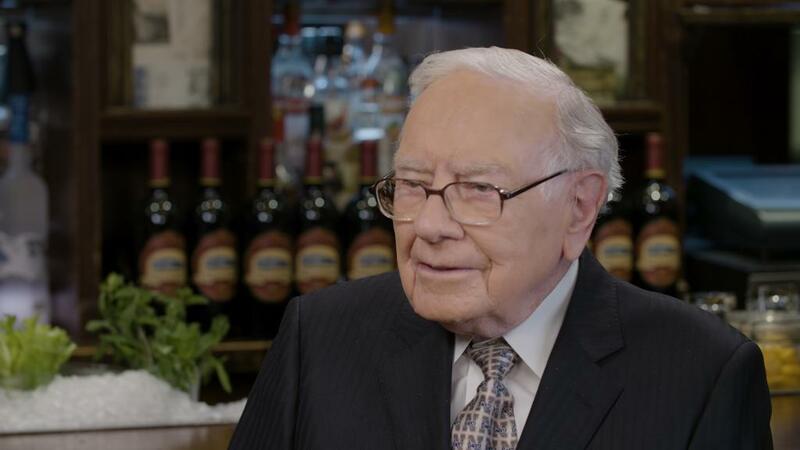 Buffett's Berkshire Hathaway has an ownership position in FedEx rival UPS (UPS). it also owns stakes in United as well as airlines American (AAL), Delta (DAL) and Southwest (LUV). Buffett has even fueled speculation that Berkshire could one day buy an airline. He wrote in his annual shareholder letter this year that he's looking to make "one or more huge acquisitions" and followed that up by telling CNBC in February that he "wouldn't rule out owning an entire airline." An outright purchase of an airline could make sense -- especially since Buffett has already shown a willingness to bet big on transportation with the acquisition of railroad Burlington Northern Santa Fe for $26 billion in 2009. President Trump's continued support for the American coal industry is also a plus for the railroads, many of which are big shippers of coal. Union Pacific, CSX (CSX) and Norfolk Southern (NSC) have all outperformed the broader market since the 2016 election. Still, there are several possible headwinds for the transportation sector in the near-term. Rising oil prices could put a dent into profits for truckers and airlines in particular. Amazon (AMZN) also may be a threat. Although the explosion of e-commerce has helped many transportation companies since they help deliver all those goods we buy, Amazon wants even more control over the shipping process. Amazon has investments in cargo freight airlines Atlas Air Worldwide (AAWW) and Air Transport Services Group (ATSG). The Jeff Bezos-led company has also been experimenting more with drone deliveries. Trade tensions could hurt the transportation sector. More tariffs against China (not to mention numerous other US trading partners) could be bad news for transportation companies if it leads to less demand for shipping imported goods. But for now, investors seem to be shrugging off concerns about the Trump administration's trade war and are focusing instead on the continued strength of the US economy.